The second-generation Mercedes-AMG A45 is getting an electric motor. The unit is expected to significantly boost the power of the hatchback. According to Motoring, citing reliable anonymous sources within the automotive industry, the electric motor will be used to provide the AMG A45 with a hybrid powertrain. The model bearing the unit is expected to arrive sometime in 2019. Currently, the AMG A45 has a gasoline-fed 2.0-liter inline-four turbo engine. The power unit offers 280 kW that launches the car from zero to 100 km/h in just 4.2 seconds. The source said a reconfigured M133 engine will be used for the AMG A45. It is will be paired with a traditional exhaust gas-driven twin-turbocharger and electric motor. A 48-volt electric system will power the turbo and the added motor. The combination of the electric motor and improved turbochargers with the petrol engine is expected to raise the output of the auto to 300 kW. The power will be distributed to all four wheels via a nine-speed dual-clutch automatic gearbox. The resulting zero to 100 km/h sprint of the compact vehicle will likely be enhanced to 4 seconds. 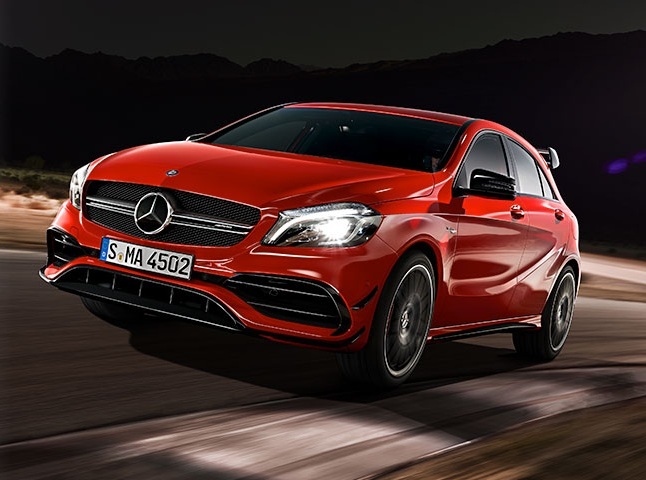 As earlier reported, AMG suggested that they will insert a model below the A45—expanding the AMG models of the A-Class into two. The new A-Class version is rumored to take the “A25” moniker. The theoretical AMG A25 will be more affordable than the AMG A45 and the output will be lower than 300 kW. The strategy follows the AMG Sport treatment introduced in the bigger passenger cars of the brand.